How would we survive one of the rainiest months in the year without the ultimate hand-held weather accessory? A fairly new holiday, Thomas Edward Knibb began celebrating March as National Umbrella Month back in 2013. As the world realized just how underrated umbrellas really are, the idea to celebrate them for an entire month starting catching on—and we’ve never looked back. We've been celebrating it ever since. Samuel Fox invented the first steel-rimmed umbrella. Europeans began using umbrellas to help shield against the rain. The Chinese began using parasols to combat the harsh effects of the sun. Raid your craft drawer for stencils, sponges, craft paint, and painter's tape. Then, go crazy creating the umbrella of your dreams. Whether you stick to sleek and sophisticated stripes or crazy, colored polka-dots, the possibilities are endless. Help out individuals in your community who are less fortunate by hosting a month-long umbrella drive. Make posters and create event pages on social media platforms to raise awareness. Encourage family, friends, and neighbors to donate. At the end of the month, head down to a local agency that accepts donated items so that you can give all of your umbrellas new owners. Gather a couple of your closest friends and head outdoors to do an umbrella photoshoot. Bring along a few different styles of umbrellas to be used as props, and spend a couple of hours exercising your creativity. 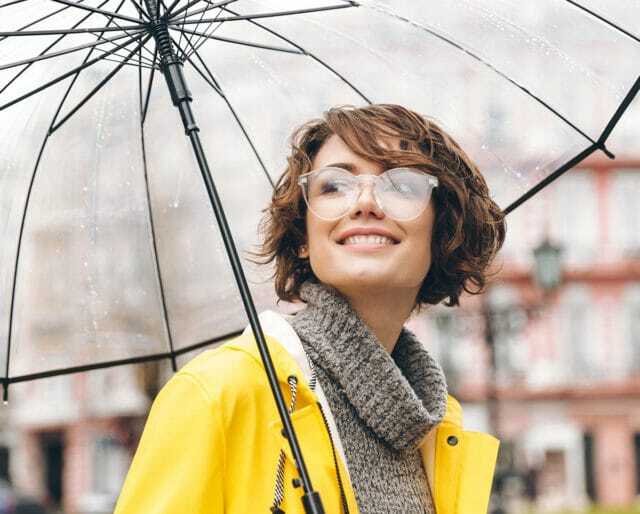 Heading to the beach, walking to your car in the pouring rain, trying to keep the sun out of your eyes while golfing—these are just a couple examples of the many different uses for umbrellas. No matter what the weather condition is, you can probably find a way to make an umbrella useful. Studies have shown that carrying an umbrella around on a sunny day can help to minimize exposure to UV rays. The color black typically does the best job filtering out the harmful rays, but unless you're carrying around a clear umbrella, using something is better than nothing. Sun protection for the win! Umbrellas aren't only functional, but they can also make quite a fashion statement. These handheld accessories make for great props during photoshoots, and they often make runway appearances.